Las Vegas is not only the home to some of the best shows, casinos and hotels in the world; it is also home to some of the finest art galleries as well. 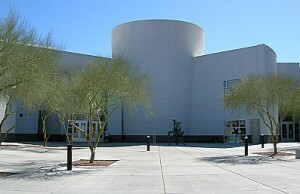 The Las Vegas Art Museum also known as the LVAM offers guided tours through 8,000 square feet of art. The LVAM has been home to international art showings as well as local community art exhibitions. The Bellagio also sponsors the Bellagio Gallery of Fine Art. The Bellagio Gallery offers an art experience with their Art & Wine events. Tickets are available for this delightful pairing of fine art and wine from the Bellagio cellar. CityCenter Fine Art Collection is also a highly popular site. CityCenter is an architectural marvel of its own, but still houses some fantastic sculptures which can be viewed for free. CityCenter is open 24 hours a day all week. These works are all displayed outdoors, but make sure to stop in or you will miss some other exquisitely crafted art works. Las Vegas has long been known for its fine dining and fun gaming, but it is quickly becoming one of the world’s centers for culture and art. More international art tours are arriving in Las Vegas each year. Stop in and admire these works both modern and classical.